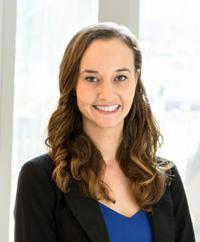 Rachelyn Provencher is the marketing manager for both the Insights for Innovation and Litigation Support practice areas of Applied Marketing Science (AMS). In her role at AMS, Rachelyn is responsible for the strategic development and tactical marketing activities of the organization. Her duties include establishing priorities for business growth targets, creating comprehensive marketing plans and contributing to business development. She also manages content creation, workshop and course planning, email marketing, social strategy, public relations and Internet marketing for AMS. Prior to joining AMS, Rachelyn was the marketing manager for a digital marketing and web development agency in the Metrowest Boston area. In that role, Rachelyn managed a variety of marketing projects for a wide range of clients, including biotech, consumer products, architectural firms, interior design companies & more. Rachelyn also has a strong background in content marketing and lead generation, having previously worked at a Hubspot certified inbound marketing firm in Connecticut. Born in a small Connecticut town, Rachelyn enjoys spending time outdoors. She cares deeply about animal welfare and volunteers at local animal-related nonprofit organizations. When she’s not walking her rescue mutt Salem, Rachelyn can be found watching the Red Sox or planning her Halloween decorations months in advance. She loves to travel, both locally and abroad, as she slowly works to check items off her bucket list. Rachelyn holds a B.S from Eastern Connecticut State University where she majored in Communications with a minor in English. She also holds an M.S. in Public Relations from Quinnipiac University.